← What makes Sibenik in Croatia so Special? Shipka Pass – At the height of 1441 metres right on top of central Bulgaria’s mountainous scenery, you’ll get this jittery feeling of being watched. We aren’t talking about any extra-terrestrial biological entity but a UFO-like construct standing erect as a watchtower. The behemoth structure is carved out of concrete and a relic of the communist era right here on the Buzludzha Mountain. The shape is what has given the wry title that’s “Bulgaria’s UFO” and today it’s among the most visited sites. The abandoned monument rests on the verge of the northernmost province; Stara Zagora right in the core of Bulgaria. Buzludzha monument depicts the true charm of sci-fi and history while manage to allure almost everyone; such is the aura of this place. 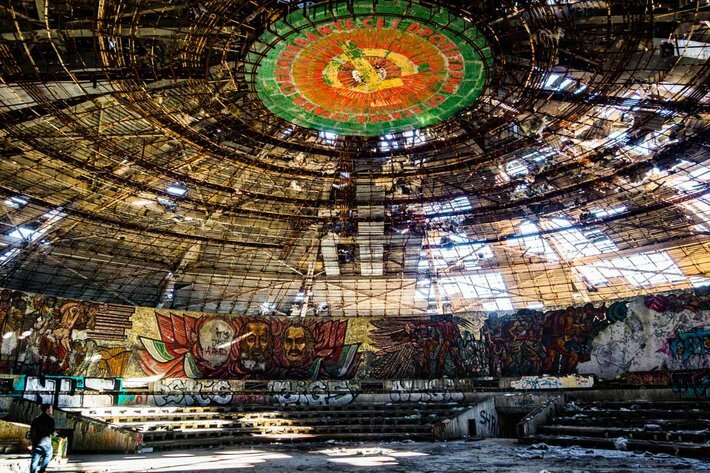 The flying-saucer-shaped structure was originally built as a socialist assembly hall and is abandoned for almost a decade. There’re many constructs around the world whose charm vanishes over time but nothing like this ever happened to this mountaintop monument. From a certain distance, it gives that Starship Enterprise silhouette in the middle of the wild and rocky region of Bulgaria. Visible from miles around, the place is a symbol where the great Battles of Shipka Pass were fought. This rustic area once had only a limited number of foreign travellers as most visited Shipka to see the amazing church, draped in all pink and gold. But recently due to the surge in sci-fi movies and many amazing inventions, the Bulgarian UFO highly appeals local as well as foreign travellers. The drive to historical cities namely Veliko Tamavo and Plovdiv are just about two hours to the north and south respectively. When you’re halfway up the mountain, the monument would greet you with two giant, boulder-sized fists, each grasping a flaming torch. A few more kilometres ascent and you’ll arrive right at the UFO site which is a massive orb of grey concrete, jutting from the summit. The upper windows, though empty and deserted resembles alien eye-sockets looking directly past the visitor in a straight trajectory. Steel turrets are jutting from the ground at its side that is capped with a medley of red glass, just the shape of a star. Overtime decay did little to diminish the magnificent visual impact of the place. Slogans are visible on the exterior wall that further urges travellers to walk inside the structure. Graffiti can be seen all over but what’s more captivating is the slogan “Never forget your past” rules above all. The term “Communism” is rewritten right beside as a Coca-Cola logo. A gaze at the building represents clearly why it sends shivers down the spine of beholders and truly paralysing for Bulgarians. 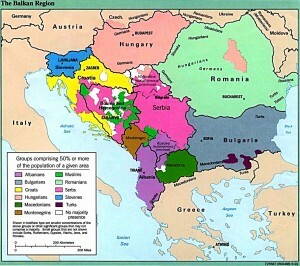 Bulgaria; much like the rest of the Balkans, fell under communist rule after World War II for decades! It was in 1989 when the ousting of Todor Zhivkov changed the tide and only memories of the communist rule remain vivid. If you’re holding Bulgaria citizenship or passport, this place is a must visit so wait no more!